I can’t remember if I’ve touched on this before or not, so bear with me. One year ago my mother passed away from glioblastoma (stage IV brain cancer). Since then, these sorts of books about dealing with life and death have intrigued me. 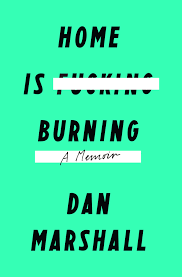 See my earlier post about Home is Burning by Dan Marshall. Paul Kalanithi spent his life training to be a neurosurgeon. Just as he was about to finish his residency, he was diagnosed with stage IV lung cancer. He has since passed away. Can’t We Talk About Something More Pleasant? by Roz Chast (2014 National Book Award finalist, graphic novel) and Home is Burning by Dan Marshall (2015). I read this entire book in 2 hours. I finished The Dead Duke at 11:30 on a Saturday night and started this book. I couldn’t sleep until I finished around 1:30 am. First, it is full of insights into the struggles of a person entering one of the most challenging and strenuous medical specialties. Second, it is the philosophy of someone whose sincere goal in becoming a doctor was to better understand the human mind and to make a difference. He never stopped trying to become a better doctor and trying to understand more about people, the world, and the places where the two meet. Third, Kalanithi had a gift for language. The prose is some of the most beautiful I’ve read in quite a while. Take, for example, the book’s final paragraph (best when read aloud, as stated in the book’s introduction). I love history and this sounded unlike any type of history I’ve read before. Failed romances ranging from ancient Rome to mid-20th century. Many of these involved famous names I’d heard, but I didn’t know much about the love stories (including Norman Mailer stabbing one of his wives twice at a party). It almost falls more into humor than history. I’m not sure what else to say about that. You might like books by Felicia Day, Mindy Kaling or Jenny Lawson if you like this, but I haven’t read those so I can’t say for certain. I learned about a lot of strange romantic relationships from this book, all of which I didn’t know about previously. I enjoyed the author’s writing style and sense of humor, but at times I felt that she was trying too hard to be funny or quirky. I read this while pet sitting and it was the perfect book for short spurts of reading in between taking care of a dog and a puppy and a snake. One of my favorite captions describes a picture of Louis VII, “Louis wasn’t smart, but he was nice and had a delightful beard, and that’s almost as good.” (p. 29, Eleanor of Aquitaine and Henry II). Well, I didn’t choose this one. I’ve written before that as a librarian, it is sometimes my job to lead our book discussions. I drew the straw for this month’s nonfiction pick. I’m excited to announce, however, that I will be leading all of the fiction book discussions in 2016, so you can expect to see all kinds of books I wouldn’t necessarily choose for myself. My reading preferences tend to be mystery (especially cozy), fantasy, or historical fiction. A lot of the books we’ve chosen for our discussions next year are literary fiction. It is about women in TV news, as told through the stories of Diane Sawyer, Katie Couric, and Christiane Amanpour. This is only partly the case, as I will explain in the review portion of this post. Go for other biographies. Weller has written another called Girls Like Us about 3 women in the music industry. If you don’t care for this book, but like the format of a discussion through multiple figures, I’ll recommend one of the best books I read for a college course: The Destructive War: William Tecumseh Sherman, Stonewall Jackson, and the Americans by Charles Royster. Many of the participants in our discussion and reviewers online felt that this book read more like tabloid gossip than narrative history/biography. I’m not sure that bothered me as much as some of the other aspects. It was a long (450 pages) book and a very dense read. Weller quotes 200 interviews with “sources” in the news industry, and 35 (17%) of these sources chose to remain anonymous. 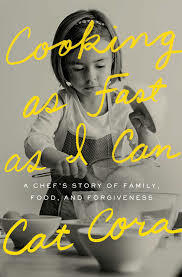 Some would say that encourages candid and honest responses, but I personally found that it undermined the author’s credibility and made for a confusing book as she referred multiple times to the same sources with varying physical and professional descriptive words. I quickly became annoyed with the repeated use of words to characterize the women – specifically sophisticated and beautiful Diane, cute and perky Katie, and exotic Christiane. Only Christiane emerges from the book as a likable figure. There were also copious errors – for example, the author states that Guyana is an island (it’s not, it’s part of South America). Bottom line: I’m not sure how much of the book is fact and how much is fiction and that’s never a good feeling when you pick something up from a nonfiction shelf. I’ve mentioned before I think that I lead book discussions as part of my job. This is our library book club pick this month. Boris Pasternak was a well-known Russian poet before he wrote his masterpiece, Doctor Zhivago. Due to the restrictions placed on literature by the Soviet government, the novel would not be published in Russia. 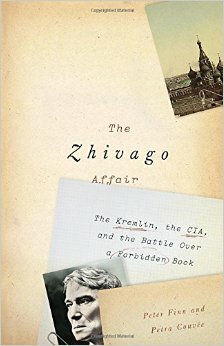 This book is part biography of Pasternak, part the path the novel took to publication, and part the ramifications of the book on Pasternak/the Soviet Union/the world. This is a hard one because it depends on what draws you to the book. If you like it for the history of literature, you might also like The Mockingbird Next Door: Life with Harper Lee by Marja Mills (2015). If you like it for Russian history, you might like Stalin’s Daughter: The Extraordinary and Tumultuous LIfe of Svetlana Alliluyeva by Rosemary Sullivan (2015). I found this book to be a bit of a struggle. I’m not a lover of Russian literature (I gave up on Crime and Punishment after about 50 pages in high school, though I kept my copy to try again later). It was very densely packed with historical research and I really wanted the author to provide a glossary of important figures, as the names all blended together (example: Surkov and Simonov). When the individuals aren’t mentioned frequently, it’s hard for someone not familiar with Russian names to keep them straight.